Some time ago I caught the Instagram Mini Quilt Swap bug. I signed up for four all within a few weeks. 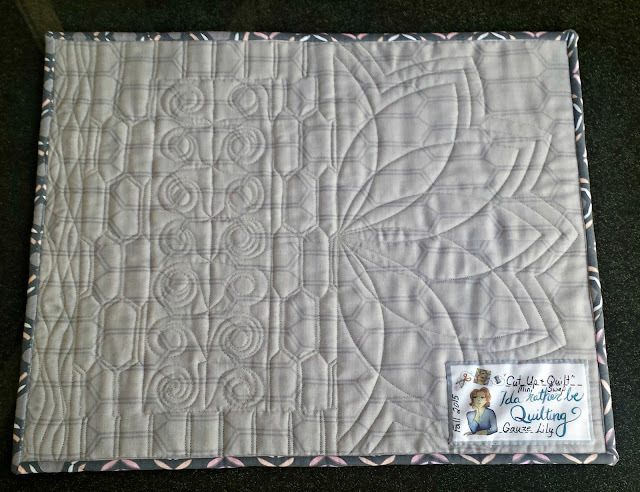 I did a Favorite Designer Mini Swap, a Text Me Mini Swap, a Spooktacular Mini Swap and this last one, called the Cut Up and Quilt Mini Swap. You know by now that I really love negative space. 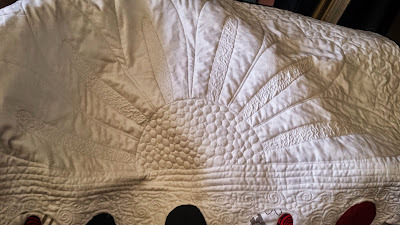 It's really the most modern aspect of my quilting. I don't always gravitate towards solids or starkly geometric designs but I do adore negative space. Only this time I chose a lily rather than a daisy. The mini is called Gauze Lily. 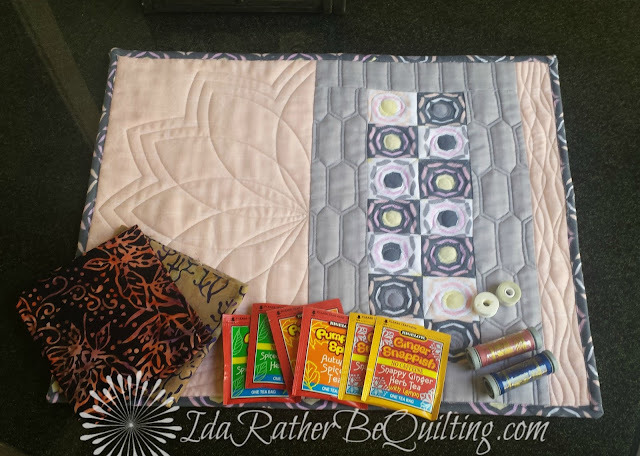 Since it was headed toward Council Bluffs, Iowa, which I imagine is much cooler than Las Vegas, I threw in some various flavored herbal teas along with two batik FQs and some thread spools and bobbins. Due to a last minute partner change I actually received a mini package from the same woman that I sent mine to! 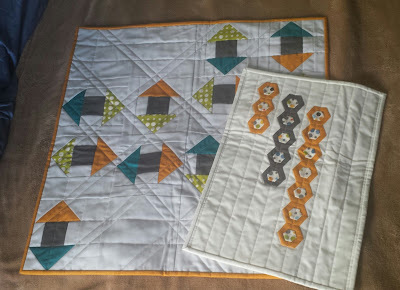 She couldn't make up her mind on a design and ended up making me two minis. What a bonus! And so many extras that she needed a big box to send them all to me. 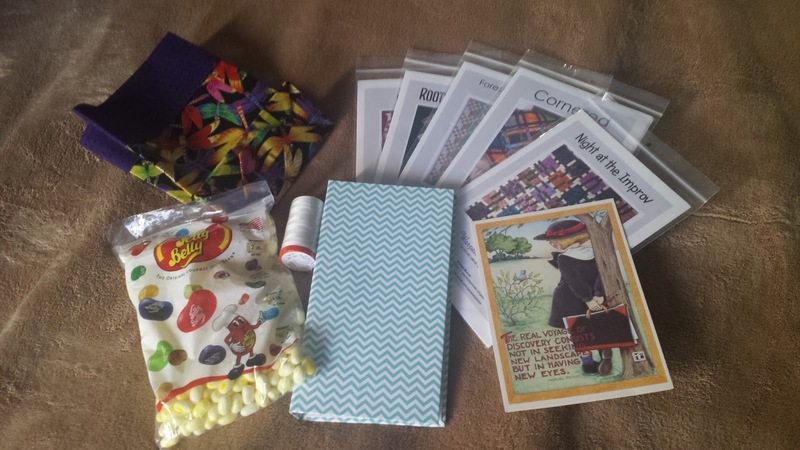 Patterns, Auriful thread, a cute lunch bag, a small scrapbook and over a pound of my favorite buttered popcorn jelly bellies. So I hope she liked the package I sent her, because I certainly was tickled with mine! Other than a small holiday mini swap within our local modern guild, I'm done with swaps until after the bustle of the holidays are over. But once spring hits, I'm likely to get the fever again! 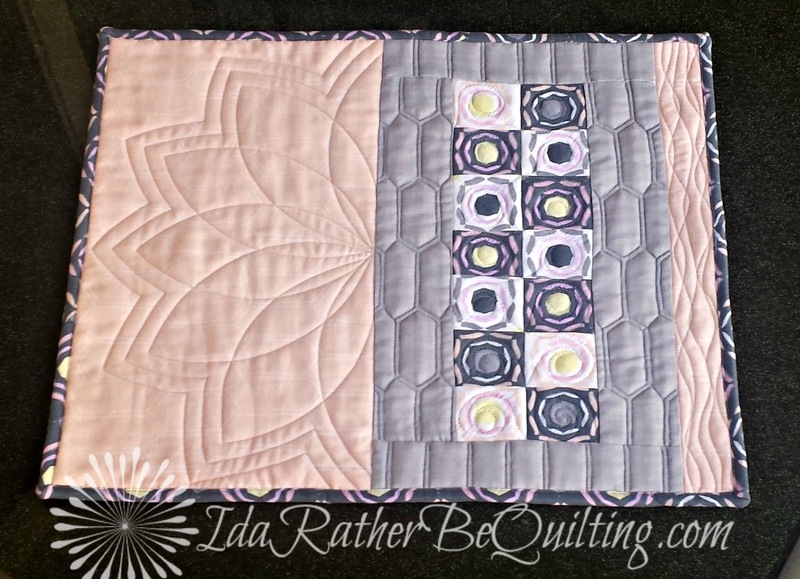 That is super pretty - I love that the quilting is a definite feature.